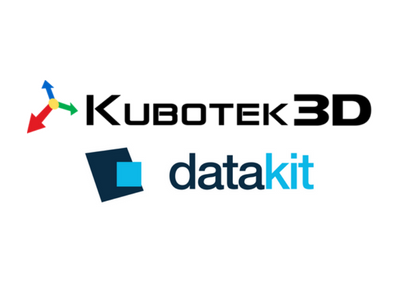 LYON, France and Marlborough, MA —July 11, 2018—Datakit, a leading CAD Data Exchange Company and Kubotek3D, developer of 3D mechanical CAD software, announce that Kubotek has licensed Datakit translation technology for inclusion in their all-new CAD utility products to be released this fall. Kubotek will use the Datakit technology to extend the range of CAD formats supported and improve translation capabilities in the new Kubotek offerings." Datakit is a privately held and leading company founded in 1994, specializing in CAD data exchange solutions and services. It offers standalone converters, plug-ins and SDK that import, analyze and export a large number of CAD formats. Datakit exposes a wide range of geometrical and semantic data (assemblies, annotations, metadata, PMI) through its varied range of products. It also provides support services for the migration of CAD databases to help customers choose the best data transfer solutions. It works closely together with independent software vendors that currently integrate its CAD data exchange solutions to their own software.